We recommend you to use QRemote instead of DCom. 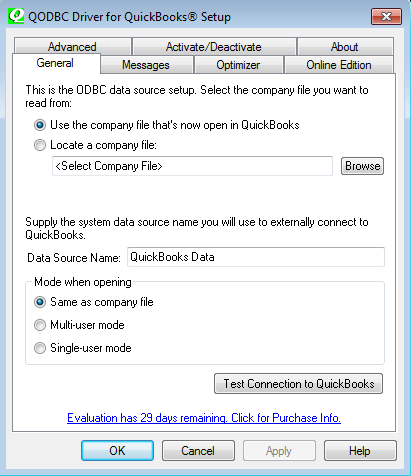 This is because QRemote is easy to configure and works for 32 & 64-bit applications. 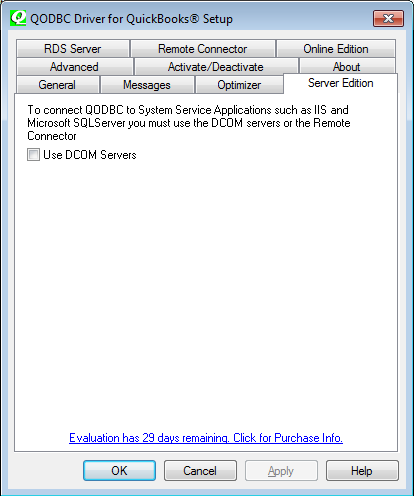 Below are the steps to Enable "DCOM" and "Server Edition" tab in QODBC Setup Screen. 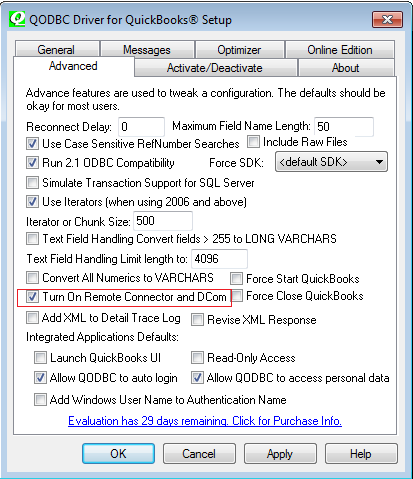 Enable "Turn On Remote Connector And DCom"
When you go into the QODBC setup screen you should see a new tab "Server Edition" & "Remote Connector"